Induction training in the care sector provides a valuable start to care, workers, new jobs. The problem has been to have a course that covers enough content to meet the standards in a flexible format. 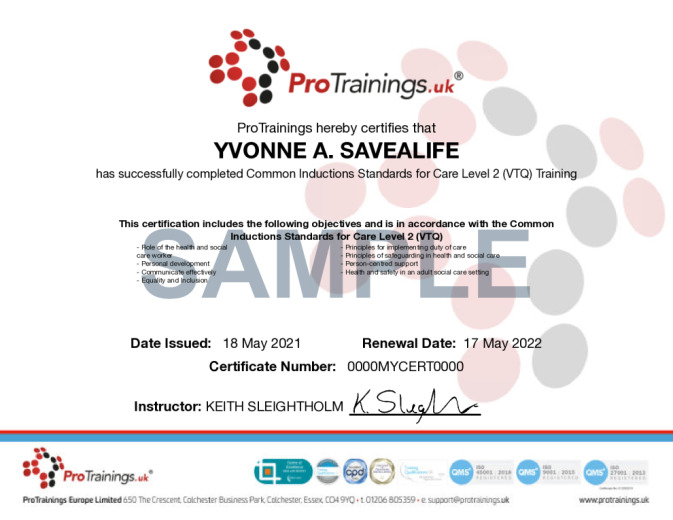 This ProTrainings course covers the eight standards using informative videos and when used within work training and experience you can easily meet these standards. 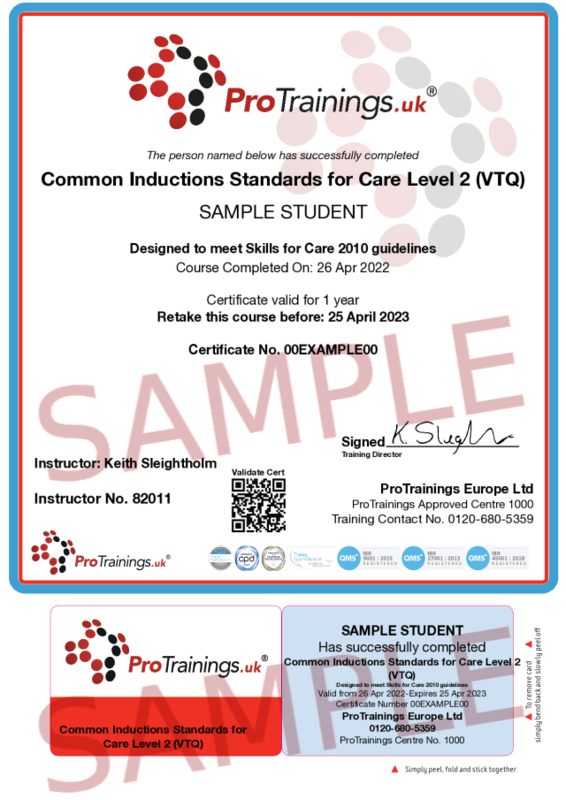 Since 2010 the Common Induction Standards (CIS) have been a key part of the early training for all adult social care staff. The CIS 2010 replaced the CIS of 2005. The CIS is to be completed before or within 12 weeks from the start of the employment by the employee and they include several key areas. This course can be completed in one sitting or over a period of time nationally through our approved and monitored national network of instructors. Care managers need to ensure that employees have met all the standards. This course comes with 8.0 hours of CPD, although the time to complete the course online may be less than this. Total course time includes 6 hours and 55 minutes of video training as well as knowledge reviews, final test, remedial help and reviewing downloaded material. An employer’s guide to Creating an inclusive workplace ?